24 hours package: Ideal for a break in Provence any time of the year, the 24 hours City Pass allows you to soak up our city with cultural tours, shopping and good food. 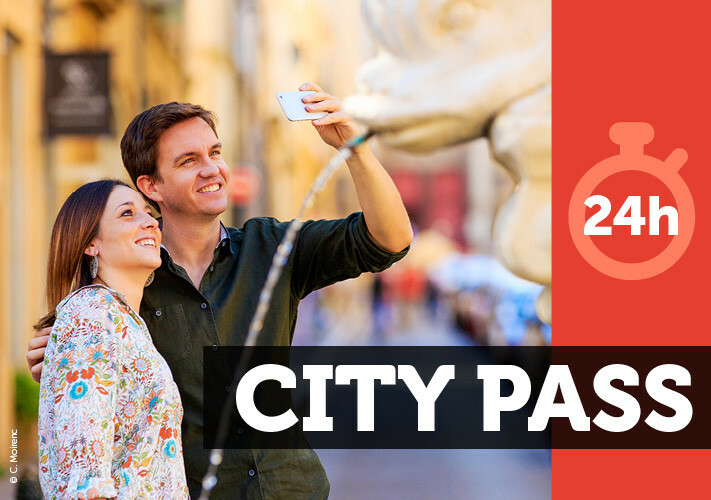 Ask for the City Pass brochure and read it carefully to be aware of access conditions to sites, museums and monuments, as well as openings days and hours. Some sites require a private vehicle to be reached. From january to end of march, and from october to december open from mondays to Saturdays, 8.30am-6pm Closed on Sundays and bank holidays. This ticket is valid for 6 months from its date of purchase. Your City Pass is valid for the selected duration and is activated with the first validation si you can take advantage of the current offers at uts date of use. Some museums grant free admission to all visitors the first Sunday of the month.